The Westfield Service League (WSL), located at 114 Elmer Street in Westfield will hold its much-anticipated Holiday Sale on December 2, 2017. Our Thrift Shop will be transformed to a winter wonderland featuring decorations, housewares, new clothing and new toys…the perfect place to holiday shop while contributing to our community. Our Consignment Shop will feature gorgeous designer holiday fashions for the entire family. The WSL has served the community for the past 85 years. In addition to running the Thrift and Consignment Shops, League members also deliver weekly Mobile Meals, as well as staff the Food Pantry at Holy Trinity Church bi-monthly. The commitment of WSL nonprofit organization is to assist charitable, volunteer, civic and service organizations of Westfield and its environs by rendering efficient volunteer service and monetary contributions. Sales in the shops during 2017 have led to donations totaling $59,954 to community organizations. To date the total donations from 1941 to present is $2,743,705.20! These funds are raised through the sales from the Thrift and Consignment Shops. Some of the donations include needed items for the Westfield Rescue Squad: a Life-Pak 5 (a defibrillator monitor); pagers for communication between headquarters and squad members; four new radios for two of the ambulances; refurbishing and refurnishing the crew waiting room at the squad building; contributing funds toward a third ambulance; “Heartstart” defibrillators; in 1990, replacing the truck and chassis of one rig; and contributing $10,000 in 2016 toward new digital radios and receivers. Other grant recipients include the Red Cross; Youth and Family Counseling; Community Center; Neighborhood Council; Day Care Center; Westfield “Y”; Westfield Food Pantry; Department of Human Services; Contact-We-Care; N.J. Association for Retarded Citizens; Visiting Nurse and Health Services. Visit WSL website to view other grant recipients. The shops accept gently used clothing and household items. 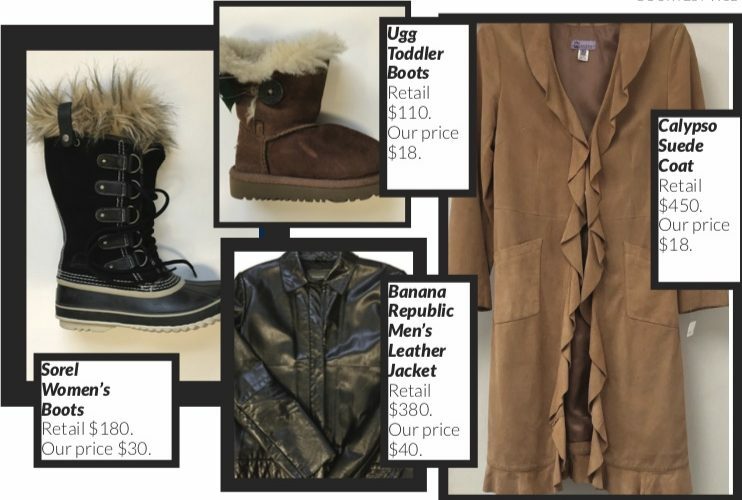 Amazing bargains can be found in both shops…designer labels for a fraction of the cost…including J.Crew, Ugg, Patagonia, St. John and so many others. Stop by the shops for incredible buys and give back to the community at the same time.